Scratching the right itch: Does your pet have seasonal allergies? (BPT) – Humans may sneeze and sniffle when trees and flowers start to bud in the spring, but many pet owners wouldn’t know if their pet was suffering from treatable allergy symptoms, which are likely to occur at the same time of year. According to the Pet Allergy Worldwide Survey (PAWS) sponsored by Novartis Animal Health, 44 percent of pet owners are unaware that their pet can suffer from chronic seasonal allergies, just like people. Atopic dermatitis is one of the most common allergic skin diseases in pets and is estimated to affect 10 to 15 percent of animals. It is also among the top 10 reasons that pet owners take their cats to their veterinarians. The disease is chronic, recurrent and requires lifelong management. According to the PAWS survey, 80 percent of pet owners would like to know more about how to recognize and treat pet allergies. To determine whether a pet’s symptoms warrant a veterinary visit and possible treatment to relieve the symptoms, pet owners can take a simple online quiz developed by veterinarians at www.itchfreepet.com. Signs of allergic dermatitis in pets may vary, but common symptoms include red, scaly patches, persistent itching and scratching, and biting or licking of paws. Hair loss and sores are also common, as a result of the itching and scratching, although the pattern for this differs between dogs and cats. By taking this online quiz, pet owners can determine if they should bring their pet to the veterinarian for testing. What allergens cause these symptoms? 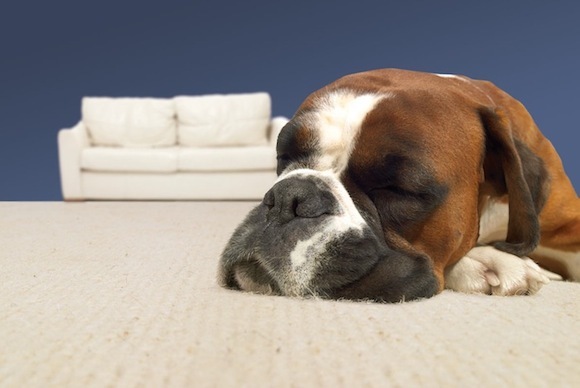 Just like people, dogs and cats can suffer from seasonal allergies to pollen, as well as year-round allergies to dust mites and mold spores. Although the underlying mechanism of the allergic response is similar to what people experience, the symptoms are quite different. People with allergies sneeze, cough and suffer from runny nose, eye irritation and sinus problems. Allergic cats and dogs, by contrast, itch, scratch and lose their hair. In the past, treatments were limited to creams and steroids, which either caused limited effectiveness or less-than-desirable side effects when used long-term. Today, while there is no cure for atopic dermatitis, there are more options to help animals find relief. Pet owners can ask their veterinarians about the drug that treats the problem from the inside out, at the pet’s cellular level. This treatment, ATOPICA(R) (Cyclosporine capsules, USP) MODIFIED for dogs or ATOPICA (cyclosporine oral solution, USP) MODIFIED for Cats, can reduce the itching and restore comfort to pets. Getting help for an allergic pet may be just one veterinary visit away. Visit www.itchfreepet.com to learn more. For specific information on ATOPICA in the U.S., please visit www.us.atopica.com. As with all drugs, side effects may occur. In a field study, the most common side effects were gastrointestinal signs. Gingival hyperplasia and papillomas may also occur during the initial dosing phase. ATOPICA is a systemic immunosuppressant that may increase the susceptibility to infection. ATOPICA is not for use in reproducing dogs or dogs with a history of neoplasia. Please visit http://www.us.atopica.com/pdf/product-insert.pdf for full prescribing information. May cause some side effects in individual cats. The most common side effect in clinical trials was vomiting, which in most cases resolved with continued use. Adverse reactions occurred most often with daily dosing. Persistent, progressive weight loss can result in hepatic lipidosis, so monitoring of body weight is recommended during treatment. If you think that your cat is losing weight, you should contact your veterinarian. ATOPICA for Cats may increase susceptibility to infection and to the development of tumors. Please visit http://www.us.atopica.com/pdf/atopica-for-cats-insert.pdf for full prescribing information.